This is detective story and it takes place in the Metropolitan police. Mizutani Yutaka is a police officer at the Metropolitan police, and he solves many cases with Terawaki Yasufumi. This is a great series and the actors have excellent chemistry. 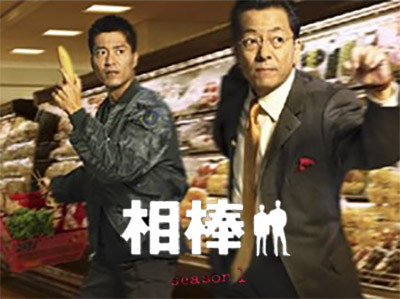 Despite this scenario (good cop bad cop/smart cop dump cop/straight laced cop crazy cop) has been done many times, this series is refreshing nonetheless. My only wish was that TV Asahi would put more money into the budget to improve the production values. Sometimes I get the feeling it was shot on a DV camcorder. Not good cop/bad cop, more like smart cop/dumb cop, but the two leads worked well together. Really good drama. Interesting crime drama series. Am trying to get the 4th season currently. These two are just total opposites, yet they work as a team so perfectly! sugita is cool! lrt's Watch the next seasons. A good detective serie with some humor. but is it only 12 epis long? kinda get the feeling I have seen more.